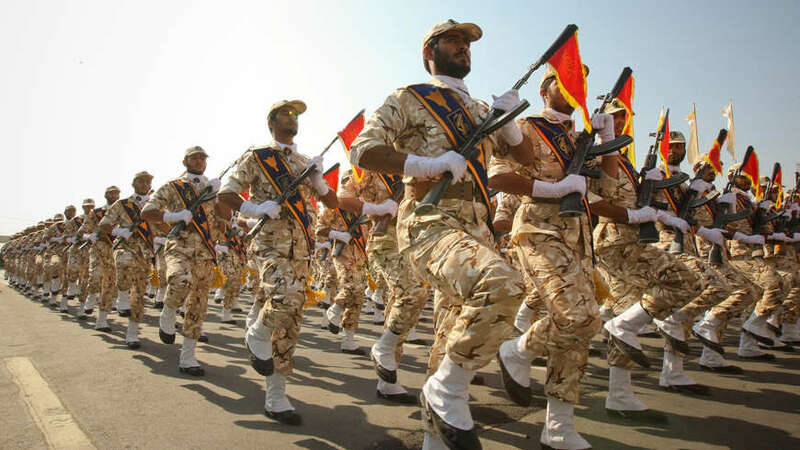 In an unprecedented move, the US government last week designated Iran’s Islamic Revolutionary Guard Corps (IRGC) as a Foreign Terrorist Organization. This is the first time that a state military entity has been designated as a terror group. Hence, we are dealing with a unique situation in terms of its consequences and implications. However, deeper analysis of the move, bearing in mind the consequences and related events, reveals that the IRGC, and subsequently the Iranian regime, will face painful repercussions in the medium term. This means there is a likelihood that the Iranian regime could change its foreign behavior in light of the increasing pressure on it through sanctions on its military entities, in addition to the previous financial and economic sanctions imposed on it. The Iranian regime and the IRGC are likely to face a series of economic, political, financial and social consequences for the following reasons. They will be a daunting burden for both entities. Firstly, the designation is likely to lead to scrutiny of the firms owned by the IRGC itself, in addition to the firms both in Iran and overseas that it doesn’t technically own, but is connected to through agreements, contracts and partnerships. This classification will lead to individuals and personalities linked to the IRGC, such as key political, military and clerical figures, being blacklisted. When other countries follow in the US’ footsteps by classifying the IRGC as a terror organization out of fear of facing US sanctions due to their dealings with the IRGC, this will lead to more of its figures and firms being blacklisted internationally. Secondly, the US decision will place restrictions on external parties that have dealings with the IRGC. This will ultimately deprive it of alternative avenues for arms, while its ability to conduct maneuvers with other countries or to deploy military forces beyond Iran’s borders for training or combat missions will be severely narrowed. This means that there will be more pressure in the areas where the IRGC maintains a heavy presence, which could lead to countries such as Iraq and Syria being forced to adopt political and security positions that would anger Iran’s regime. Thirdly, the US decision could have an impact on Iranian public opinion, which is already extremely skeptical and harshly critical of the IRGC’s overseas expansionist moves, especially those carried out at the expense of domestic investment and development. Iranian citizens are well aware of the IRGC’s actions abroad, with protesters chanting many slogans denouncing the regime’s policies and its expansion beyond Iran’s borders while ignoring socioeconomic suffering at home. This popular anger is expected to rise, and it will target the regime’s brutal Basij (plain-clothed militia) as it mercilessly represses young Iranians, supposedly in the name of religion. In this respect, the US decision may negatively impact the IRGC’s domestic reputation and status as an elite force. Fourthly, pressure from the US and regional countries can now be exerted on all those cooperating with the IRGC. In this respect, the US will condemn the countries hosting IRGC members under the guise of them being military advisers, as well as those nations that facilitate their movement or give the IRGC or its personnel logistical support. These pressures will also punish individuals and militias affiliated with the IRGC, such as Harakat Al-Nujaba, Hezbollah, the Fatemiyoun Brigade, the Zainabiyoun Brigade, and Asaib Ahl Al-Haq. Finally, this designation, if implemented accurately through cooperation with other countries, will weaken the Iranian economy and curb the flow of foreign currency, leading to the Iranian rial plummeting even further. It may also lead to the collapse of many IRGC-owned firms in the medium term. As an example, it is sufficient to mention the country’s petrochemical industry. This sector, which is dominated by the IRGC, accounts for about 30 percent of Iran’s non-oil exports and secures nearly 20 percent of the hard currency resources for the Iranian economy. Despite the fact that this industry is covered by US sanctions, these products are still exported due to certain factors related to the market’s supply and demand mechanism, seasoned smuggling networks like those of the IRGC, and reduced prices and larger commissions. With the IRGC also running numerous banks, the impact of the US sanctions may go beyond the organization to also bite the Iranian people, who will lose any of their money that is controlled by the IRGC. Realizing the enormity of the situation, an increasing number of people are already withdrawing their money or selling their stakes in such firms. This could impact the Iranian stock exchange, with many observers already noting a downward trend following the designation, with shares falling by 3 percent on the first day. Whatever is yet to come, we are now witnessing the first phase of the US decision. There will doubtlessly be further practical steps to follow. In my view, this will be the toughest phase and the criteria used will allow the true impact of the decision to be evaluated and to assess whether or not it has achieved its goals. For its part, Iran’s leadership could take several measures to react to this decision, particularly to condemn or confront it. This will ultimately lead us into a new era of escalation, which may force Iran’s regime to change its behavior, however unwillingly, and to pay more heed to its devastated home front.